Peter Afflerbach is a Professor of Education at the University of Maryland, College Park. He received his doctorate in reading from the University of Albany. His research interests include reading assessment, individual differences in reading, reading strategies, and the verbal reporting methodology. Afflerbach serves on the Standing Reading Committee of the National Assessment of Educational Progress (NAEP). He recently completed terms on the Literacy Research Panel of the International Literacy Association, and the National Academy of Education/NAEP Committee to investigate reading achievement-level descriptors. Afflerbach was inducted into the Reading Hall of Fame is 2009 and is the editor of the Handbook of Individual Differences in Reading: Reader, Text, and Context (2016) and co-editor of the Handbook of Reading Research, 4th edition (2010) and 5th edition (in press). 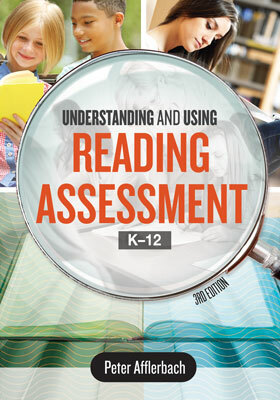 This edition features a new chapter, case studies from all grade levels, and 15 reproducible forms and checklists for optimizing reading assessment efforts.